This image is very different from the other posts on konachan by tennohi, I hope he continues in this direction. 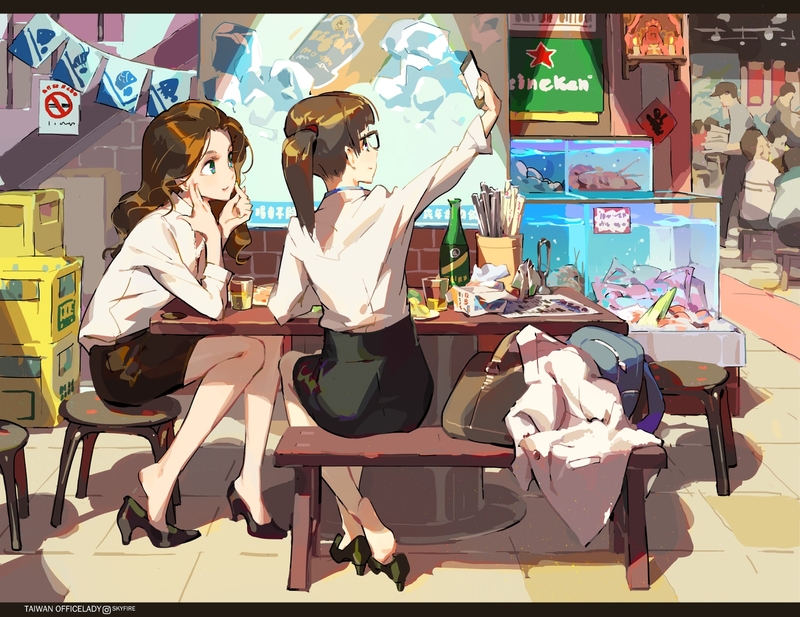 Oh, great work ʕ ᵔᴥᵔ ʔ. Сolors, location, cute girls. And indeed - everything else is in a different style, more smoothed. Agreed cute little scene. I wonder how Taiwanese office ladies are different from their Japanese counterparts.